With our mobile SDK, you can embed telehealth into your existing iOS and Android apps. Use your own clinicians, or tap into our network of on-demand providers. See how telehealth can now be delivered under your brand, through any of the apps your patients already use. Through the SDK, American Well comes to you. Expired prescriptions? Questions about medication? Concerns about side effects? Make it easy for patients. 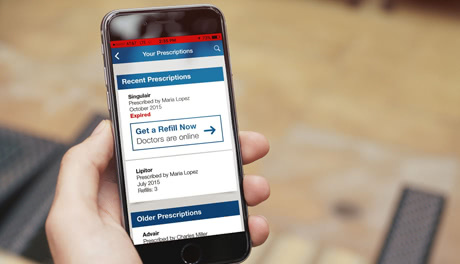 In store or at home – connect your consumers with a doctor, nurse, or pharmacist on demand. 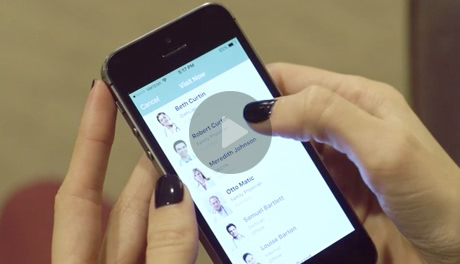 Your app lets patients see their labs, check their records, get information, and send messages. Why not add “See a Doctor” to the menu? Make your healthcare app truly full-service. Being scared is only fun in the movies. In real life, people want a doctor to assess their (or their child’s) symptoms and reassure them. Give them the peace of mind they want. Put them right in front of a doctor so they can confirm the right diagnosis. Adding video visits to your iOS and Android apps will give consumers more of what they want. Find out how to plug telehealth into your product today.